Imaging concerns the collection, manipulation, analysis, generation, understanding and processing of images. It includes computer graphics, computer vision, optical imaging and filtering, signal processing and aspects of artificial intelligence and machine learning. Imaging is used across all areas of science and engineering, for example, in the vision systems in self-driving cars, in robotics, and in automating medical diagnostics, even to the point of detecting a person’s pulse from a video of their face. Rose-Hulman Institute of Technology offers a multidisciplinary minor in imaging. The minor requires 24 credits (6 courses): three required courses and three imaging electives from the list below. Since imaging is a multidisciplinary minor, at least 12 of the 24 credits must be courses that are not named required courses for the student’s major. Students choose a track to pursue. Each track allows the student to gain depth in a different area. Each has its own required courses and suggested electives (although any electives from the list below are acceptable). Plus three electives from the Imaging Electives list below. OE295 Photonics Devices and Systems OE392 Linear Optical Systems. Any special topics course or independent study in any major that involves imaging (must be approved by the Imaging Program Director. Materials science and engineering is a broad field of study. As the name implies, it encompasses foundational knowledge from the sciences (e.g. physics, chemistry, and biology) and it includes the engineering application of this knowledge to create new materials and to select, modify, and combine existing materials in novel and useful ways. Developments in materials science and engineering are critical to success in many areas of science and technology. The relationship between the structure, processing, and properties of materials is central to the discipline, and therefore the courses in this minor teach students about one or more of these areas. 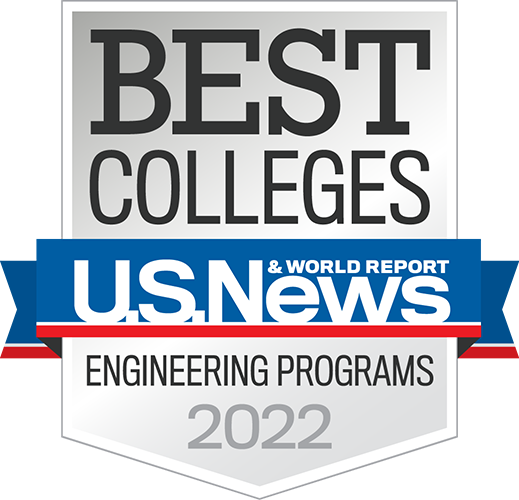 Rose-Hulman Institute of Technology offers a Minor in Materials Science and Engineering to recognize students who have gained experience in these areas while at Rose-Hulman. Students in any degree program are eligible for this minor, except students working toward the minor in Solid State Physics/Materials Science. To earn the Minor in Materials Science and Engineering, a student must complete a minimum of 24 credit hours according to the guidelines below. These guidelines are designed to be flexible in order to accommodate students from different majors across the Institute. Consequently, some courses are listed in multiple categories even though any given course may only be counted once toward the minor. In some cases, a prerequisite may be waived if the instructor determines that the student has sufficient background knowledge from previous coursework taken in other departments. Prerequisites are included for reference but are subject to change; the course catalog contains the official prerequisites. A total of 20 additional credit hours from one or both of the following categories. Any course required for a student’s major (excluding elective courses required for the major, and other exceptions as specified in the footnotes) does not count toward these 20 credit hours, nor does any course taken to satisfy requirement (1) above. PH 113 or EM 204 as a prerequisite must also be taken in fulfillment of minor requirements. A student interested in pursuing a Minor in Materials Science and Engineering should consult with one of the following minor advisors: Dr. Patrick Cantwell (Department of Mechanical Engineering), Dr. Emma Dosmar (Department of Biology and Biomedical Engineering), or Dr. Marissa Tousley (Department of Chemical Engineering). Successful completion of this minor will be indicated on the student’s transcript. 2 Note, the list of additional required CPE courses appears to be 1 course longer than other tracks, but CPE students are required to take either Linear Control Systems (ECE320) or Discrete-Time Signals and Systems (ECE380) already, so the requirement to take ECE320 should not cause the CPE track to be any longer. 3Note, the list of additional required ME courses appears to be 1 course longer than other tracks, but ME students are required to take either Control Systems (ME406) or Vibration Analysis (EM406) already, so the requirement to take ME406 should not cause the ME track to be any longer. According to INCOSE – International Council on Systems Engineering, a system is a construct or collection of different elements that together produce results not obtainable by the elements alone. By this definition, everything is a system, including what engineers design. Systems Engineering is an engineering discipline whose responsibility is creating and executing an interdisciplinary process to ensure that the customer and stakeholder's needs are satisfied in a high quality, trustworthy, cost efficient and schedule compliant manner throughout a system's entire life cycle. As the systems that engineers design become exponentially more complex, the task of ensuring that solutions satisfy stakeholder needs is becoming exponentially more difficult. The field of systems engineering provides a broad spectrum of tools that can be used to help engineers manage complexity, predict and address risk, ensure safety, gather and manage information, and provide solutions with greater value to the intended stakeholders. The purpose of the Minor in Systems Engineering is to provide a more in-depth exposure to systems engineering concepts than students would see in their traditional engineering courses. The minor also requires students to identify the relationships between these systems engineering topics and what they learned in their traditional engineering or science curricula.